Preece Family - Loving that extra chromosome! This is the Preece Family. I love this group of wonderful people! In celebration of Down Syndrome Awareness month I'd like to tell you a little bit about their family! They also have two GORGEOUS daughters who are seriously the best sisters and helpers to their mom! They love their brothers! 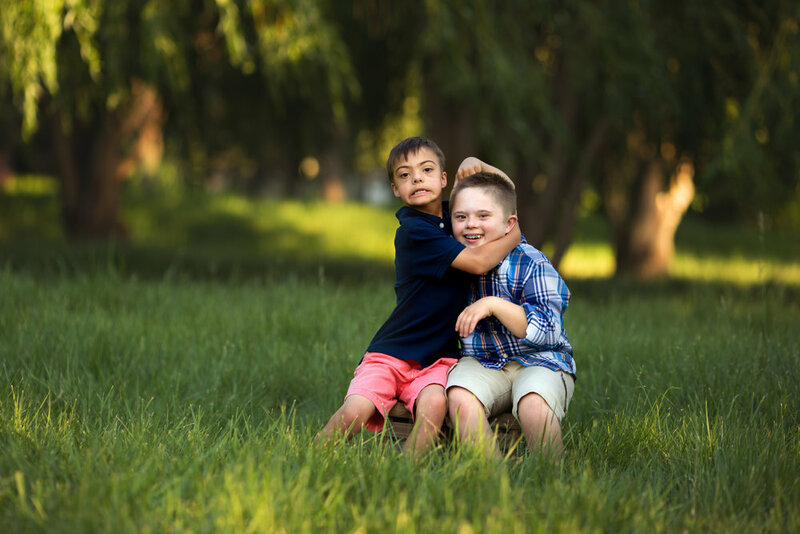 When their son Jake, who happens to have Down Syndrome, was a few years old, they decided to adopt another child with Down Syndrome. From Russia, right around the time when the Russian government halted all adoptions. Over a series of many months, they were finally able to bring Gabe home to his new family. His forever family! "We first went to the social worker's office, where she, too, congratulated me and then gave me Gabe's baptism certificate and even the little outfit he wore at his baptism. What a treasure! She also gave me some photos they had taken from our first visit with Gabe, photos I didn't even know existed. Another gift! The director came in and we shook hands and all smiled some more as they had me sign the last papers to make it official: he is my boy, I am his mother, and I am here to take him home. We went up the staircase, through the cloakroom doors. I emptied his new clothes from my bag and Alla took them to his teachers to have them dress him for me. When Alla walked through the door at the end of the hallway, I could hear him exclaiming because he knows what seeing Alla means: his mama is here! He was shouting "Mama, mama!!" The whole time they were dressing him, I could hear him jabbering on and on about mama, car (beep beep! ), papa. I waited with such anticipation." "Finally, he came through the doors. This boy. This boy has more joy upon seeing his mama than a person can even fathom! 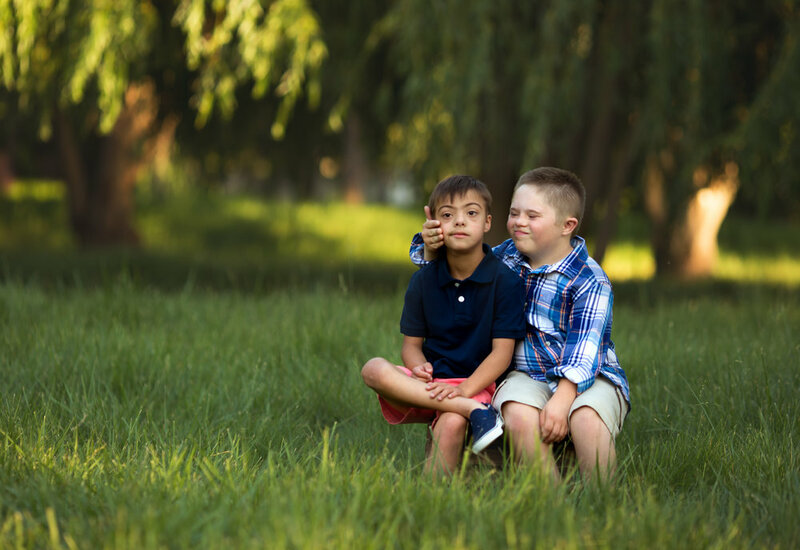 So much like Jake at home, Down Syndrome must include more love in that extra 23rd chromosome." What a special family- willing to go through so much to bring their boy home! 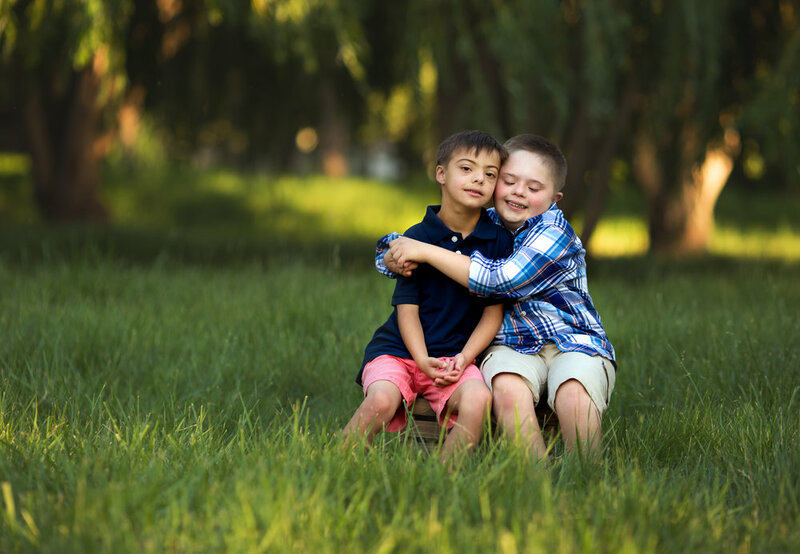 These two brothers melt my heart and I feel so happy to have been able to capture just a small bit of their beauty!